The perfect companion guide for designers, managers, educators, students, facilitators, etc., this is the handbook for creative rebels and change agents who want to ignite and activate positive impacts through their work! Whether you’re facilitating a group discussion or presenting a talk, your leadership role should be about empowering and activating others, not about having power and control. Whilst there are various elements of these with which you will need to bargain, the skills required to maintain interest whilst talking and sharing with others, are similar to, and overlap with the skills needed to engage your team in a boardroom. This e-book shares insights from cognitive and social sciences so you can uncover the secrets to excellent, highly engaging facilitation techniques. 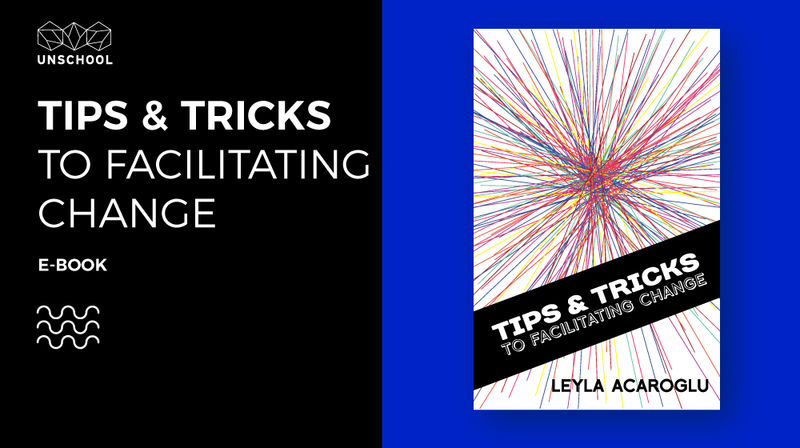 Tips & Tricks to Facilitating Change offers readers a quick dive into the weird and wonderful world of human experiences. 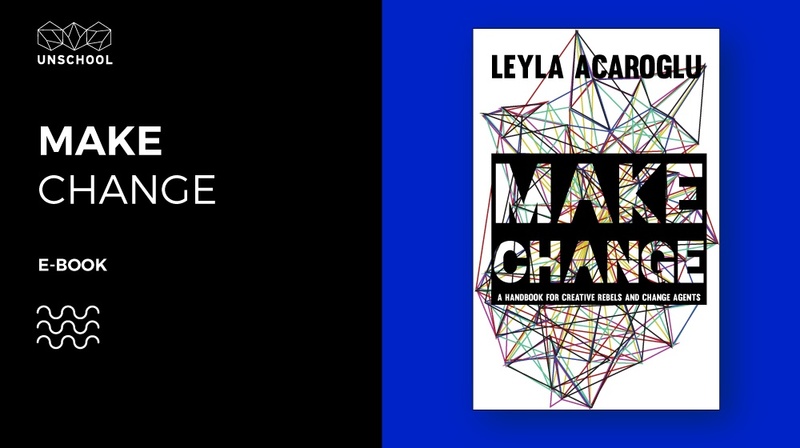 Drawing on cognitive sciences and sociology, this guidebook offers a framework for thinking differently about facilitating change. Offering insights and suggestions on ways to design experiences that engage, delight and inspire others. Whatever you want to call it, facilitating and educating is really about being a good host. You’re guiding a group of people through an experience-- be it educational, productive, managerial, or purely entertaining. Regardless of the desired outcome, your role is to keep the boat afloat and heading in the right direction. You help people access and traverse content through the experiences that you curate. Leading a group, getting up and sharing your ideas, taking charge of a room and presenting on a stage-- these are all moments of human interaction that require not only confidence and intent, but also flexibility and a toolbox of methods for getting your message across. So let’s dive into the foundations of human experience to help you to discover ways of engaging even the most stubborn of participants. This is an opportunity to develop or refine your own personal toolset of ways to enliven and activate any room!